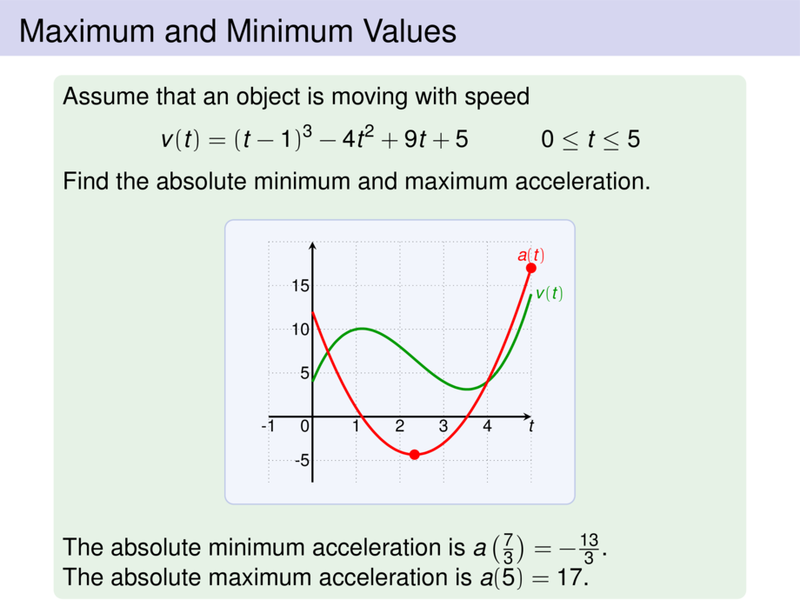 Find the absolute minimum and maximum acceleration. Since $a$ is cont. on $[0,5]$ we can use Closed Interval Method. No other critical numbers since $a'(t)$ is defined everywhere.